Welcome to the personal web-site of Dr Nikolai Elenkov Lazarov. Originally from Vidin, Bulgaria, Dr. Nikolai Lazarov received his MD from the Medical University in Sofia in 1981, his PhD in Neurobiology from the Thracian University in Stara Zagora in 1991 and his DSc from the same university in 2000. 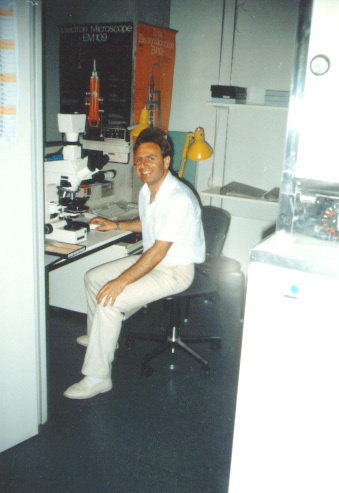 Dr. Lazarov was appointed Assistant Professor at the Thracian University in Stara Zagora in 1982 and in 1994 he became Associate Professor at the Department of Anatomy. In November 2001 he was promoted to a Full Professor at the same department. Since April 2007 he is a Professor of Anatomy and Cell Neurobiology at the Department of Anatomy and Histology to the Medical University in Sofia. He has also been a collaborating Professor and Head of the Department of Synaptic Signalization and Communications to the Institute of Neurobiology of the Bulgarian Academy of Sciences since 2010. His biographical sketch currently appears in Who's Who in the 21st Century, Who's Who in the World, Who's Who in Science and Engineering and 2000 Outstanding Scientists of the 21st Century. Lazarov NE, Usunoff KG, Schmitt O, Itzev DE, Rolfs A, Wree A (2011) Amygdalotrigeminal projection in the rat: An anterograde tracing study. Ann Anat 193:118-126. Lazarov NE, Reindl S, Fischer F, Gratzl M (2009) Histaminergic and dopaminergic traits in the human carotid body. Respir Physiol Neurobiol 165:131-136. Lazarov NE (2007) Neurobiology of orofacial proprioception. Brain Res Rev 56:362-383. Lazarov N, Rozloznik M, Reindl S, Rey-Ares V, Dutschmann M, Gratzl M (2006) Expression of histamine receptors and effect of histamine in the rat carotid body chemoafferent pathway. Eur J Neurosci 24:3431-3444. Lazarov NE (2002) Comparative analysis of the chemical neuroanatomy of the mammalian trigeminal ganglion and mesencephalic trigeminal nucleus. Prog Neurobiol 66:19-59. Lazarov NE (2000) The mesencephalic trigeminal nucleus in the cat. Adv Anat Embryol Cell Biol 153: pp. 1-103. Click here for a complete publication list. (PhD student) Angel Dandov, M.D., Medical University of Sofia, Bulgaria. (PhD student) Dimitrinka Atanasova, Institute of Neurobiology, Bulgarian Academy of Sciences, Sofia, Bulgaria.